Born in Tokyo in 1957, Shigeru Ban attended the Southern California Institute of Architecture from 1977 to 1980. He later attended the Cooper Union School of Architecture from 1980-1984. Shigeru Bah studied under John Hedjuk. John Hedjuk practiced ‘architectonic poetics’ through his use of elementary forms in his design. 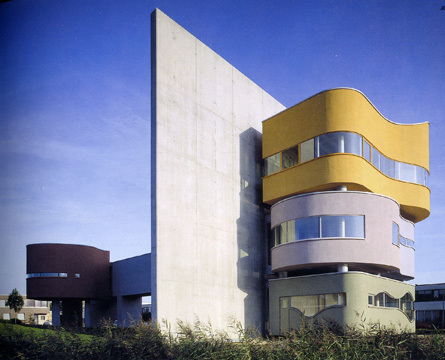 John Hejduk was a viewed as a modern architect. 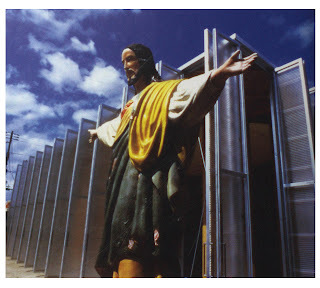 Hejuk became Shigeru Ban’s mentor and inspired him to begin his own architectonic poetic through the his use of elementary materials. His influence has caused Shigeru Ban to be a modern architect as well. 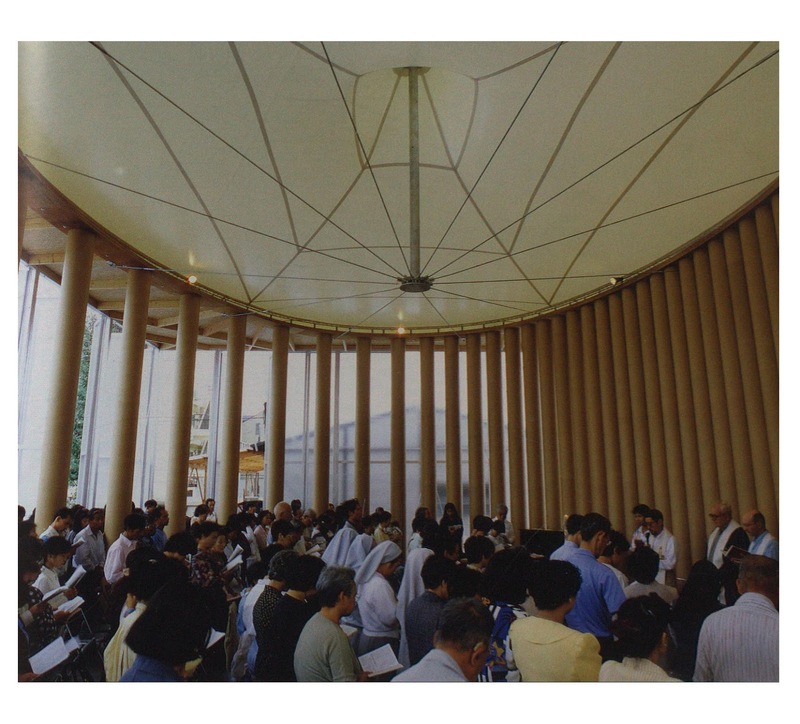 However, Shigeru Ban does not express his modern approach through building form, but through building materials. 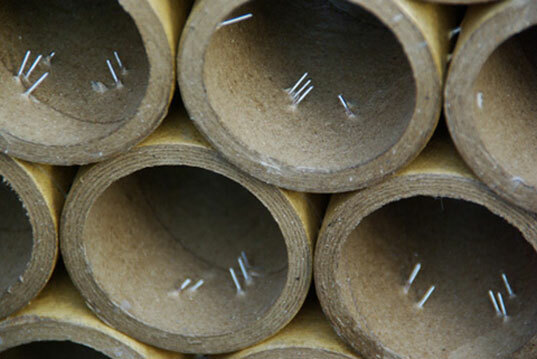 Ban and his firm SBA are known for their numerous structural systems and construction methods involving basket-woven bamboo dome systems, wood, and paper tubes. Because of this Ban has become known as 'The Paper Architect'. 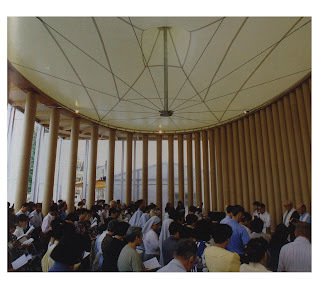 Shigeru Ban is highly regarded for his minimalist approaches to environmentally sound architecture and devotion to international humaniand paper tubes. 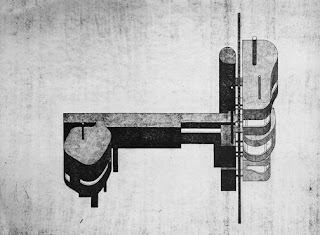 Ban deliberately ignores geometric rigor and uses paper tubes in many of his models. The material allows one to choose from a variety of circumferences, thicknesses, length, concavity and convexity, and are extremely easy to use and source. For Ban, paper tubes were seen as a true, principal building material. Some of his notable works include: the Japanese Pavilion at the Expo 2000 in Hannover, Germany, the Nomadic Museum (2005 – present) in Mexico City used to house Gregory Colbert’s Ashes and Snow photography and film exhibition, and the Centre Pompidou-Metz (2010 – present) a museum of modern and contemporary art in Metz, France. Shigeru Ban has been recognized for his work in many instances, and has received various awards such as the AIJ (Architectural Institute of Japan) Grand Prize in 2009 for his Nicolas G. Hayek Center in Tokyo. He has also received a World Architecture Award in 2002 for Best House in the World for the Naked House. Furthermore, he has been a jury for the Pritzker Architecture Prize from 2006-2009, and an honorary fellow for institutes of architects in Canada, Britain and the United States.